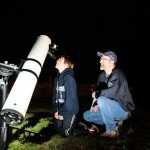 After being weathered out on our first attempt, the clouds cleared for our annual Statewide Star Party on Friday April 11, 2014. 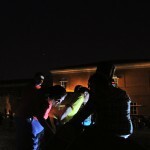 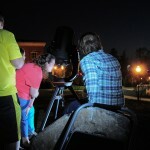 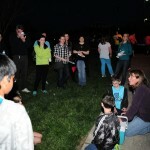 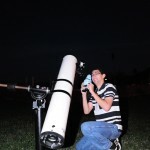 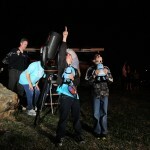 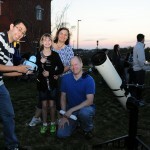 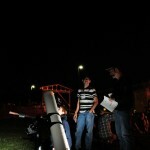 The Star Party is sponsored by the North Carolina Science Festival and was part of over 2 weeks of NCSF events at UNC Charlotte. 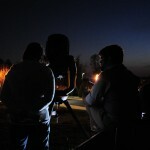 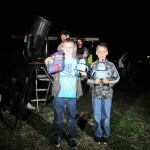 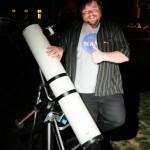 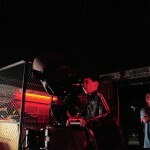 We had a great time star-gazing through 6 telescopes at the Moon, Jupiter, the Orion nebula, the Pleiades cluster and Mars! 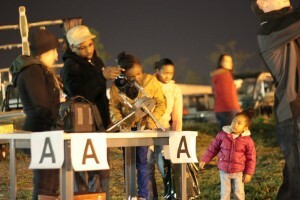 We also had some fun demos – moon craters, making a comet, an infrared camera, and a meteorite display. 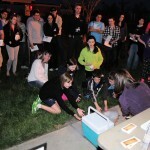 Plus NASA swag and giveaways! 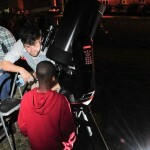 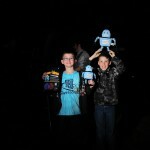 Thanks to the North Carolina Science Festival, the NC space grant and our friends at Cosmoquest. 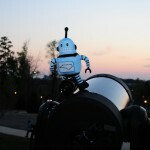 Kelvin, the North Carolina Science Festival spokesbot is ready for some star-gazing. 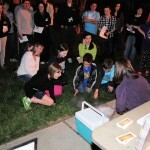 Dr. Trammell makes a comet using dry ice! 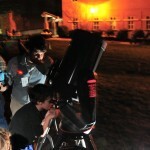 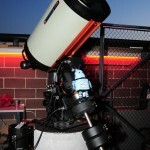 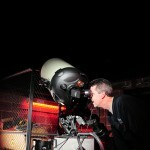 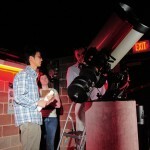 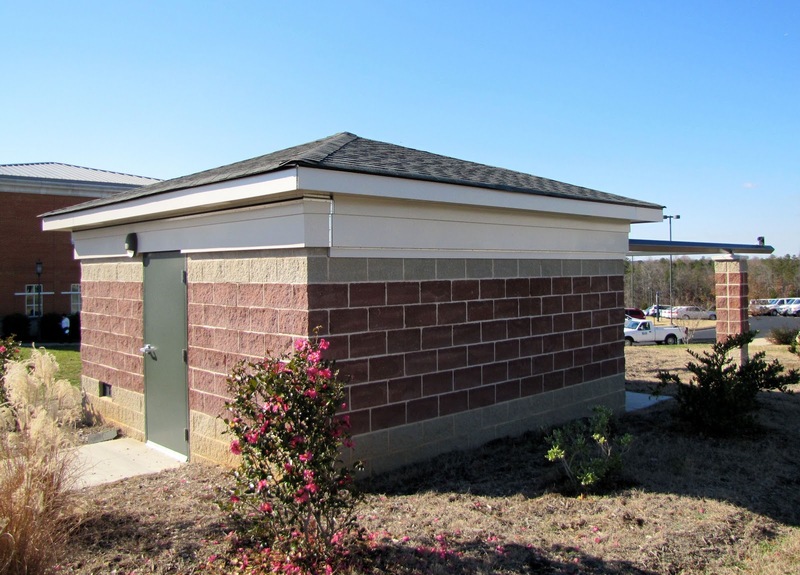 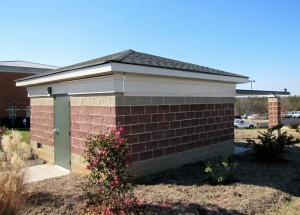 See the recent article about the new UNC Charlotte Observatory posted by the Office of Research Communications in their “Light in the Mine” blog. 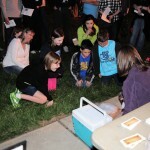 Also, in a related post, read about why science outreach is so important to UNC Charlotte.